Did Steve Jobs Have An Attachment Disorder? I was reading a review this morning of the new movie “Jobs,” an account of Steve Jobs’ career. Now I’m a Mac guy and a big fan ofJobs, but even his biggest fans would acknowledge that he was a genius with very serious personal flaws. This review brought it all back. He dropped out of Reed College, an elite private school in Oregon for other pursuits – Eastern philosophy and hallucinogenic drugs, among other things. He was a bully, prone to rages and tantrums when things didn’t go exactly his way. He could be utterly cold-hearted and cruel to people, almost sadistic, and take pride in his behavior as if it were a character strength. He was a demanding perfectionist whom Fortune once dubbed ” one of Silicon Valley’s leading egomaniacs.” At night, he would go home to his wife of 20+ years, Laurene, and his three kids in Palo Alto. I’m not aware of any similar discord at home, but then I haven’t yet read his book. That might explain any inconsistencies in his behavior at home and at work. Where did this behavior come from in someone who was otherwise so gifted? An attachment disorder? Maybe. According to Wikipedia, Jobs’ Syrian-born biological father and Swiss-American girlfriend (Jobs’ mother) met at the University of Wisconsin, where they studied and taught. When Jobs was born in 1955, his father said he had no choice but to put him up for adoption because his girlfriend’s family objected to their relationship. Jobs was adopted at birth by Paul and Clara Jobs. Later in his life, when asked about his adoptive parents, Jobs was emphatic: “Paul and Clara Jobs were my parents 1,000%.” Unknown to him, his biological parents subsequently married and had a second child, novelist Mona Simpson, in 1957. Jobs rebuffed his biological father’s efforts to connect with him. 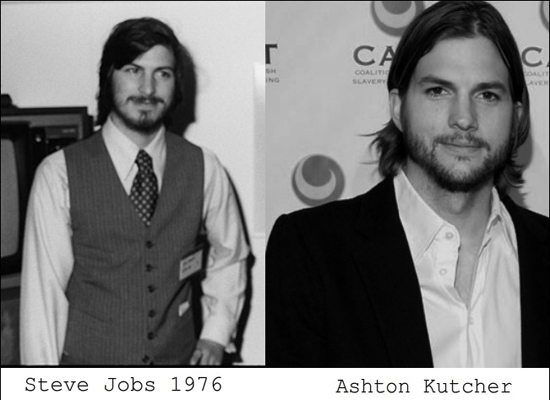 As if history had repeated itself, in 1978, Jobs fathered a daughter named Lisa. He denied a paternity claim. A Google search led me to the blog, childmyths, which raised the question about Steve Jobs’ difficult personality and its attribution to his early abandonment and adoption. On October 26, 2011, Maureen Dowd wrote about Jobs in “Limits Of Magical Thinking” for the New York Times. She didn’t necessarily claim that Jobs’ behavior was rooted in his adoption history, but quoted others close to him who thought it was. I can’t claim to answer this question here, but it certainly looks to me as though there was a connection between his early abandonment and his behavior. If you’re curious, buy the book, “Steve Jobs,” or see the movie, and judge for yourself. 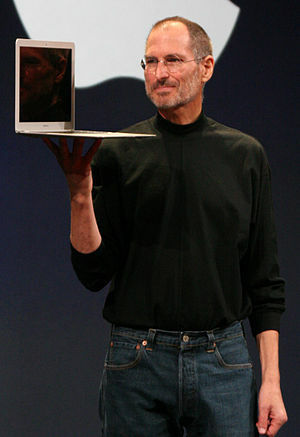 This entry was posted in Uncategorized and tagged adoption, Apple Computer, attachment disorder, Mac, Steve Jobs. Bookmark the permalink. This is so interesting. I too have wondered about Jobs’ “problems” and if it might have been linked to his adoption. I also think his various unusual diets were actually indicative of eating disorders, including possibly anorexia. Anyway, just speculation. I think there is definitely a connection. When early trauma is not felt fully and processed (but suppressed/repressed instead), oftentimes serious disease results, many times in middle age. In astrology, this occurs around the time of the Chiron return (generally ages 48-53) – the wounded healer returns and reminds us of our deepest hurt. Jobs suppressed/repressed his “adoptee anger,” and didn’t survive. It is terrible, he was so talented. Repression is more prevalent among males as a way of dealing with the trauma, but is also found among women. Many who have not dealt with their early trauma don’t make it past middle age. Some recent examples are Charlotte Dawson (actress) and L’Wren Scott (Mick Jagger’s girlfriend). Both are adoptees who suicided at age 49 in the last several months. Even into his 50’s, Jobs was still furious and needing to be in control, as well as in denial about his reality (for example, the irony of himself being abandoned then denying paternity to one of his biological offspring). If people are not introspective and/or do not go within themselves and work through the deep and complex emotions of early trauma, they often don’t make it (disease or suicide result, and often around the Chiron return). Dr. Arthur Janov of the Primal Center in LA works with this concept and helps patients to fully feel the pain and bring it into conscious awareness so it can be processed and released. The (now out-of-print) book, “Cure by Crying” also details the same process. In order to heal, one must feel and not repress; however, this cannot be forced on anyone, they should only be guided and instructed to do it. This inner work can be very hard while managing a highly demanding career.